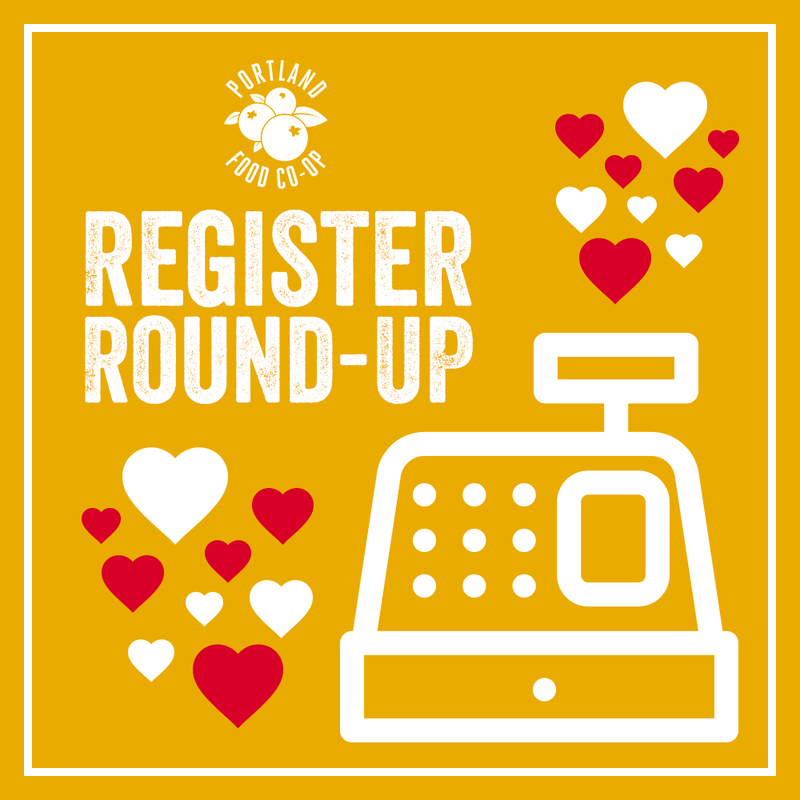 This spring, we are launching a new Register Round-Up program! Starting in May, Co-op shoppers will have the option to round up their grocery bill to the next dollar and donate to a local charity chosen by our Member-Owners. First round voting will open on March 1. During this time, Member-Owners can vote on their top ten (10) picks for charity round-ups. Final voting will open on April 23 at our Annual Meeting & Celebration and continue online through April 30. This final voting round will narrow the selection of charities to four (4) total and each will be designated to a quarterly (3-month) period. Final selections will be announced on May 1. Questions? Email Rebecca at marketing@portlandfood.coop. Member-Owners: Submit Your Nomination Here!